Focus is a fascinating thing. My husband tells me when I focus, I am formidable. I would like to believe the 'formidable' in that sentence is the most important word, but in fact, the most revealing word in that sentence is "when". As artists, we wear many hats, have many tasks, many attentions, much that pulls us this way and that. We have craft, we have self, we have family, we have side hustles, we have business, we never stop. What do we focus on? 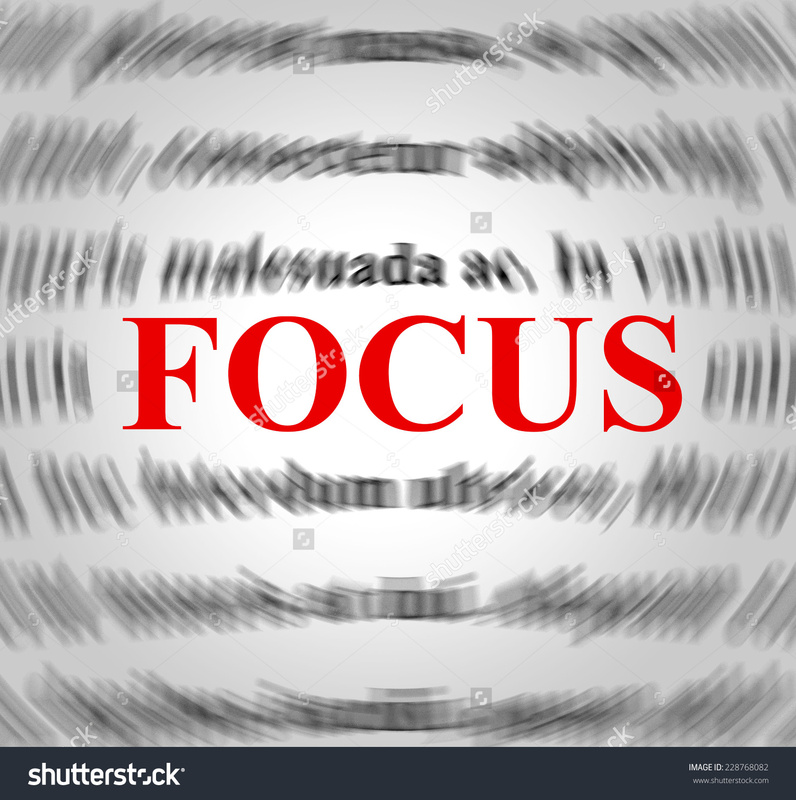 How does achievement reveal itself through focus? I learned very early on that it's not "all or nothing". There are lots of things that demand our attention, but what demands are truly our focus? This is perhaps a clearer determination of what you spend your time, and more importantly, your ENERGY on. Achievement is in the eye of the beholder, and has more to do with what you choose to focus on that does not drain you of energy. When you sit with your music and really begin to FOCUS on learning it, discovering it, letting it begin to gestate and emerge through your voice, and your body - there is a great sense of achievement: craft, artistic integrity, musical embodiment, and more. It ENERGIZES us, it doesn't deplete us. How do we discover that in other "necessities" of our life in order to weave it all together? One thing I am recognizing in my own life is how not to WASTE my energy versus GIVE my energy: to a task, a person, a necessary focus I have to explore. I used to go into a task or a "necessary evil" with a sense of dread and foreboding that would waste my energy and leave me exhausted and noncommittal to the things and the people I wanted to spend energy on. This can happen with our artistic lives and our business lives. As artists, our desire and focus to create is strong, and often, the "necessary evil" of wanting to make a career is exhausting. We stop and start and re-start and re-start again and again. Why? Because HOW we focus and connect the achievement just hasn't found a balance yet. How we focus on our craft versus how we focus on the business of self has not yet discovered the difference between wasting energy and giving energy. 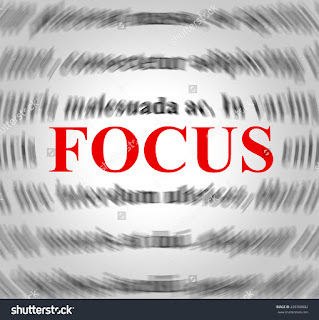 Focus does not have to be all or nothing. Deciding & and discovering how you best work is paramount: are you a "to do" list person? Are you a person that needs open-ended time to achieve focus? Are you somewhere in the middle? I have tried to be an open-ended person - and my tendency is just to waste it. If I have only one thing to accomplish in a day, I tend not to really focus. If I have 10 things I have to do and can "schedule" them into my structure, I get them done, or at least acknowledge them fully and give them my focus. One is not better or easier than the other. This has to do with how you function most authentically. One of my ongoing promises to myself to continue to determine tasks, projects, schedule, craft, creative ideas, business possibilities, by ENERGY. Am I wasting or giving? Even if the idea doesn't excite me - what kind of energy does it use, and then how do I focus that energy to release it, or put it into action? Motivation and focus has everything to do with energy in action. Achievement has to do with that energy in action simply following through for that specific task, in that specific time. If you haven't wasted that energy, you will have a sense of accomplishment. If you have wasted it, the focus wasn't true, and you are exhausted. So, what do you want to accomplish now? What's on your big dream board? What are you doing to move yourself closer and closer into that orbit? When you realize you aren't as aligned, how does it make you FEEL? As artists, our emotional and physical energy as so closely and tightly woven. How we feel is felt physically and viscerally. So, what would change that feeling? How could you focus that feeling into change for you to move forward and into your "next", instead of moving in circles and getting dizzy and having to constantly re-start and re-peat and never quite anchoring enough to move forward? Where are you wasting energy? Where do you need to give energy? How will that energy allow you to truly focus on that task or action to allow you to feel as if you have accomplished and therefore achieved? Start with the little tasks. Write them down. Give yourself a schedule each day if it helps. Don't over schedule yourself if it makes you anxious. Anxiety is another waste of energy. Your desire has an opportunity to manifest itself into a clearer focus. With focus, comes action. With action, comes achievement. With achievement, comes success. Success of YOU. If you say you want it, but you don't go get it, who are you fooling? If you say you must do it, but you don't do it, what provokes you to say it in the first place? Every step, every decision, every choice gives you permission to focus. Every action gives you energy. It doesn't need to be gigantic. In fact, the smaller, often so-called "insignificant" actions are the ones that can create the energy we need to wrap ourselves in, to create the momentum to the next action. May you find the focus you need to create action in your desires. May that focus reveal to you what those desires truly are, and not what you think they SHOULD be. May you follow through with energy and not dread. May your first step in this awareness be one of focused determination and excitement! Happy Eve of all things good and light and true.